Akihabara now attracts shoppers of electronics products, as well as Japanese “anime”, or animation, and comic book “manga: fans. What began as a black-market district after WWII has grown into a discount center for modern communication equipment and supplies, later becoming a sacred place for the culture of Japanese geeks, the “Otaku”. 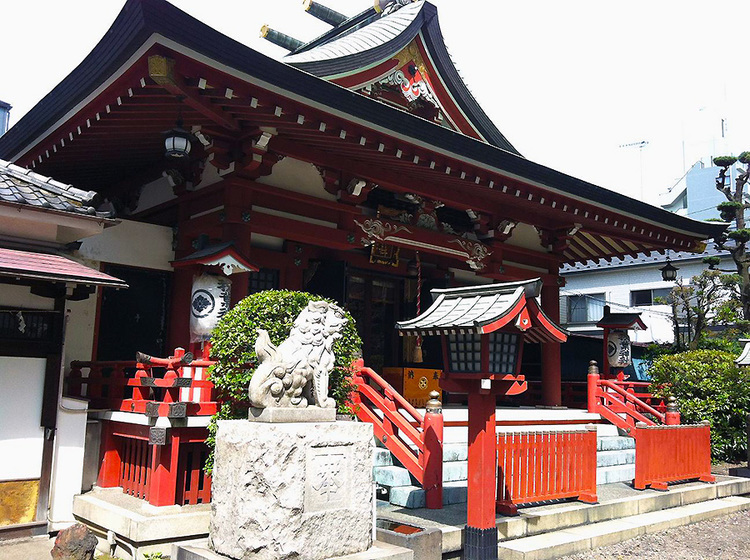 After the district was destroyed by a fire in 1869, the people in the area decided to replace the buildings with a shrine called Chinkasha, meaning fire extinguisher shrine, in an attempt to prevent the spread of future fires. The locals nicknamed the shrine Akiba and the area around it became known later as Akihabara. Since the end of the 19th century, a vegetable and fruit market had sprang up around Akihabara Station which was a major freight transit point. After World War II, the black market thrived in the absence of a strong government. This disconnection of Akihabara from government authority has allowed the district to grow as a market city and given rise to an atmosphere of entrepreneurship. 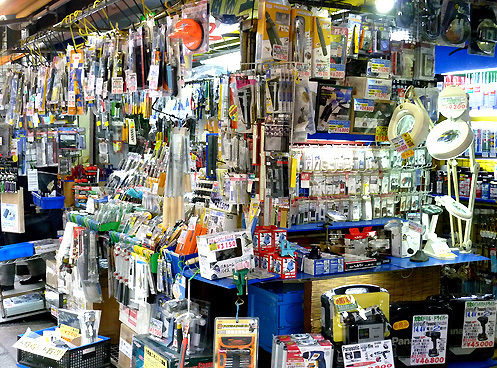 In the 1930s, an entrepreneurial culture in the district turned Akihabara into a future-oriented market region, specializing in household electronics, such as washing machines, refrigerators, televisions, and stereos, earning Akihabara the nickname “Electric Town”. 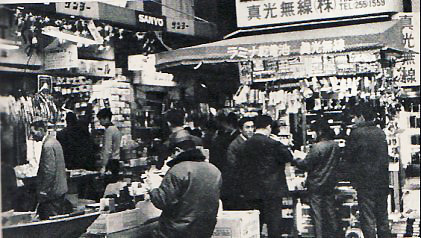 In the 1980s, as household electronics began to lose their futuristic appeal, the shops of Akihabara shifted their focus to home computers at a time when they were only used by some electronic specialists. 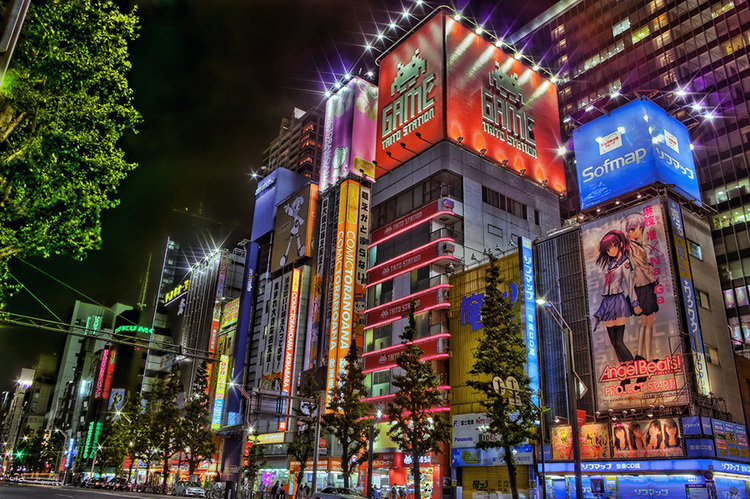 Once known as the “Electric Town”, Akihabara is now synonymous with Otaku, or geeks. But you do not have to obsess about “anime” or “manga” to enjoy walking around Akihabara. Visitors come here not only to purchase digital cameras, or hang out in maid cafes, or to buy mangas. They also come to enjoy observing this unique subculture. The streets of Akihabara are covered with anime and manga icons, and “cos-players”, or people dressing up as their favorite fictional anime or comic book characters, line the sidewalks handing out advertisements, especially for maid cafes. The design of many of the buildings serves to create an atmosphere that lures otaku. The influence of otaku culture has shaped Akihabara’s businesses and buildings to reflect the interests of those geeks.